As Chief Development and Engagement Officer, Julie oversees all business development, engagement and professional leadership development. A lifelong learner, she continually seeks out trends and insights. As a relator, Julie is sought out by clients needing a new and strategic perspective on growth initiatives and marketing in the service-enriched housing sector. A true achiever, she works with purpose to help clients achieve their goals and thrives when helping others become more productive. Proven in the industry with more than 30 years of experience in Market Rate and Affordable senior housing, Julie has been a speaker at numerous industry events and served on Argentum’s COO and Marketing and Sales Executive Roundtables. Prior to Gardant, she worked in marketing and operations roles for Bickford Senior Living and Provena Senior Services. Professionally, Julie serves on the Indiana Center for Assisted Living Advisory Council and the Medicaid Waiver Sub-committee for the National Center for Assisted Living (NCAL). 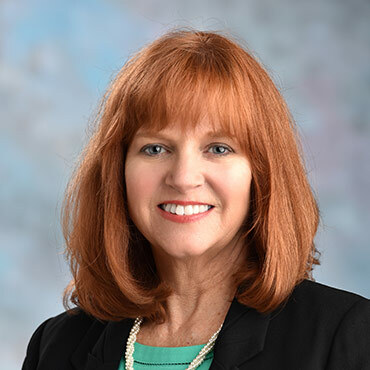 Julie is also member of Vistage, an international leadership organization, and was selected as a board member of the United Way of Kankakee and Iroquois Counties. She is the chair of the United Way Allocations Committee. A Certified Marketing Professional, Julie earned her MBA from Trinity College and University and BA from Governors State University.